Kehilla is all about affordable housing. Sukkahville is a creative way to make more people aware of the problem and help us work together for better solutions for those having to make the difficult choice of paying the rent or buying food each month. Kehilla, a UJA Federation beneficiary agency - is bringing back Sukkahville for year 5 –bigger and better than ever at Nathan Phillips Square from September 25 to 27th. 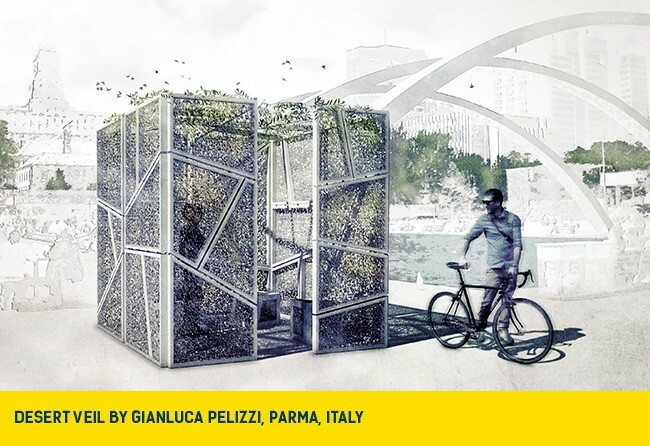 There will be 8 finalist sukkahs – designs from Italy and Sweden are in the running. The awards ceremony will be on Friday the 25th at 12:30 pm with the first and second prize winners being decided by a stellar jury; Ken Greenberg, Principal of Greenberg Consultants; Jennifer Keesmaat, City of Toronto’s Chief Planner; Shauna Levy, President and CEO at the Design Exchange; Chris Pommer, Partner at PLANT Architect; and Alex Bozikovic, architecture critic at the Globe & Mail. Former winners from the last 2 years will be back on display and there will be an amazing art installation of a sukkah built from condo sale signs by visual artist Dan Bergeron commissioned by the Koffler Centre for the Arts. The New Israel Fund is bringing back a vintage sukkah created by local artists from its “Sukkah by the Water” event from the 1990’s. Two weeks ago New City Hall and Nathan Phillips Square turned 50, and it’s appropriate to remember that this site was the former St John’s Ward; an immigrant housing slum. On Sunday the 27th at 2 pm you can walk the history of the area with John Lorinc, one of the co-editors of the book “The Ward”. You can listen to the music of Klezconnection and Clinton Street Klezmer. Shoresh will be engaging kids in a bee pollinator activity. Saturday the 26th will be a viewing day with Kehilla ambassadors and the designers on hand to talk about the Sukkahs and Kehilla’s work.